You spend a lot of time in your kitchen, so it is important that you feel comfortable working in this space. Unfortunately, kitchen remodels can be difficult due to a variety of factors. The time-consuming, inconvenient nature of remodeling your kitchen can make it a much bigger hassle than it’s worth. If you plan to remodel your kitchen, consider these tips to make it easier. Remodeling your kitchen is likely to be a very expensive endeavor. Even if you’ve taken this into account, you might be surprised at just how expensive it can get. As such, you should make a detailed list of everything you want done and be sure to make an accurate budget to accommodate these renovations. You should do a thorough inspection of your kitchen to ensure you are aware of any and all issues that need to be addressed. You should also request quotes from multiple contractors so you can be sure that these renovations will be within your budget. 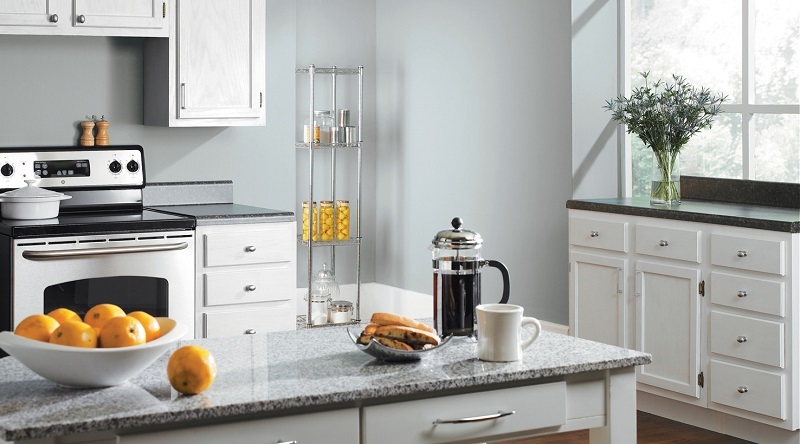 Many homeowners choose to use neutral colors or shades of white in their kitchen. This can make the kitchen into a more calming and inviting room to live and work in. Alternatively, some homeowners choose to go for bold, striking colors such as red, yellow, or orange. These colors can be a fun way to bring life and energy into your kitchen. No matter what color you choose, you should feel confident that you like these colors. As painting a kitchen is more difficult than painting a more open room, such as a bedroom, having to repaint can drastically increase your expenses. If you are planning to do a full remodel, there is no point on skimping in any areas. Hiring a professional painting company to complete your kitchen paint job is a great way to ensure that you will be satisfied with the final product. If you have any further questions or concerns regarding your kitchen remodel, feel free to contact us at Noel Painting today!